Follow this guide and stress less when undergoing your commercial fence installation. Picking the right commercial fence for your business and the right commercial fence installation company to work with can be tricky. A commercial fence has to be functional, yet it also has to have a certain amount of aesthetic appeal. You also have the challenge of sticking to a budget. That’s why you need to work with professionals. 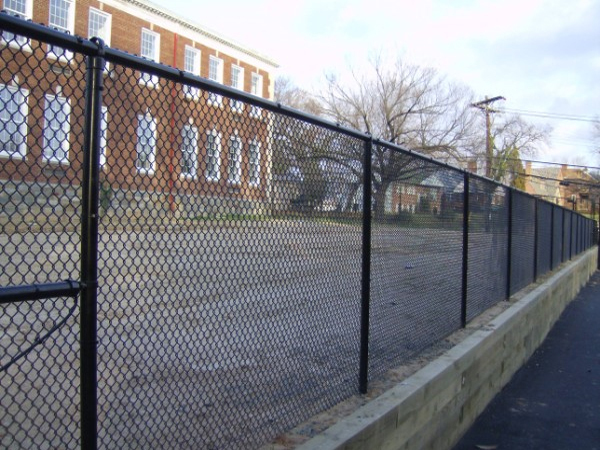 A professional team will make sure your commercial fence installation goes off without a hitch. Have you heard about those horror stories where commercial fences have to be torn down because the right permits weren’t filed? Well, it happens more than you think. Not only is there a chance that your entire fence will have to come down, but you may also have to pay some hefty fines in the process. Before you start planning your commercial fence installation, make sure to do your due diligence and measure your property lines. It may seem tedious if you clearly know your boundaries, but it’s better to be cautious than just make assumptions. Preparation is key in finding the right commercial fence. If you have any questions at all, don’t be afraid to ask! When you work with professionals on your commercial fence installation, they will take the time to make sure that you fully understand the entire commercial fence installation process. Whether you’d like more information on styles or would like to learn more about how long the commercial fence installation process will take, a team of true professionals will answer all of your questions promptly and accurately. Some commercial fence companies act like they don’t want your business by how they respond to you. Make sure that you only work with a company that treats you how you deserved to be treated. 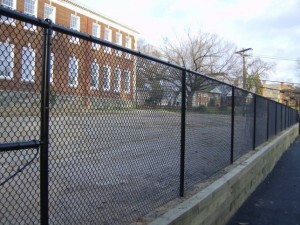 Hercules Fence has experience with nearly every type of commercial fence material imaginable. Wood, aluminum, chain link, vinyl, and steel are all materials our experts can install. Over the years, Hercules Fence has developed a reputation for fair work and competitive prices. We are able to conveniently serve our customers in six locations: Manassas, Richmond, Newport News, Norfolk, Virginia, Maryland, and North Carolina. Do you have more questions about your commercial fence installations? We’ve got answers. This entry was posted on Wednesday, March 9th, 2016 at 8:48 pm. Both comments and pings are currently closed.